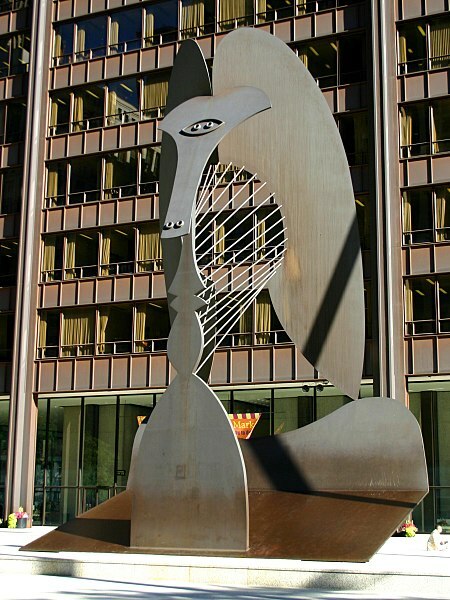 Many visitors to the Modulightor Building are intrigued by the Picasso sculpture that’s on display within it—or rather, the several Picasso sculptures. Pablo Picasso (1881-1973) is widely considered to be the most famous artist of the 20th Century. He worked in a plenitude of mediums: painting, drawing, ceramics, printmaking, stage design, and sculpture. In the late 1960’s-early 70’s the University of South Florida wanted to build a visitors & arts center for their Tampa-area campus. 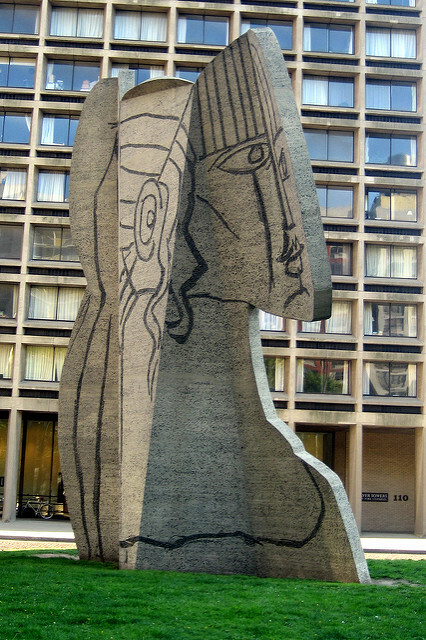 The building design was by Paul Rudolph, and Picasso was approached to provide a sculpture that would be the centerpiece of the center’s exterior plaza. It was to be over 100 feet high, and - had it been built - would have been the largest Picasso in the world. Rendering of Paul Rudolph’s building with Picasso’s sculpture. Image: USF Special Collection Library. As a famous artist - indeed, a world-wide celebrity - one can imagine that Picasso was continually besieged about all kinds of projects. Carl Nesjar (a Norwegian sculptor—and also Picasso’s trusted collaborator, who fabricated his some of his large, public works) spoke to Picasso about the Florida project, and got an approval. Picasso’s model. Photo: USF Special Collection Library. The model was about 30” high, and made of wood with a white painted finish. 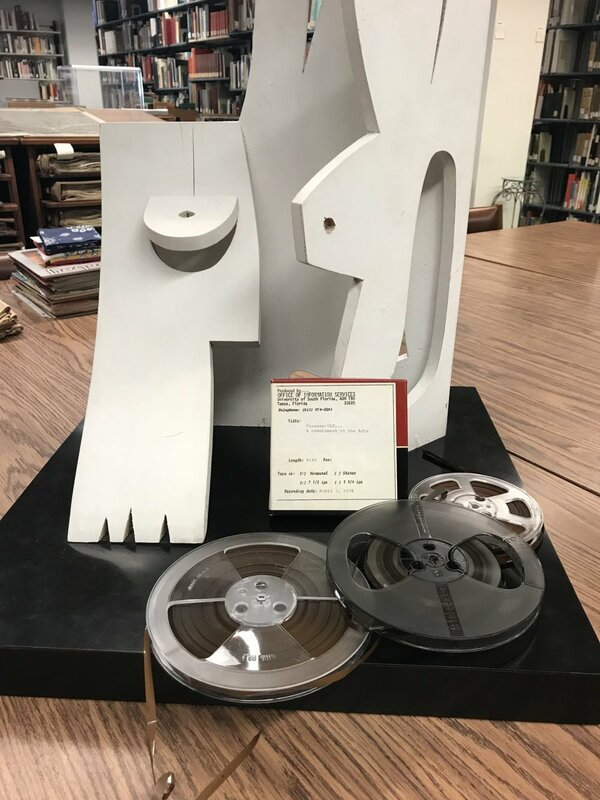 Picasso gave the original to the University, and it is currently in the collection of the University of South Florida’s library. The sculpture was to be towering—more than twice as high as his work in Chicago—and, at that time, would have been the biggest concrete sculpture in the world. 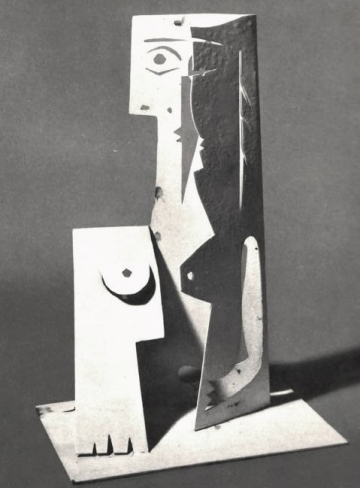 Carl Nesjar made a photomontage of the intended sculpture, which gives an idea of its dramatic presence. But, for a variety of reasons—cultural, political, and financial—the project never moved into construction: the university didn’t build the Picasso sculpture, nor Paul Rudolph’s building. That sad aspect of the story is covered in this fine article. 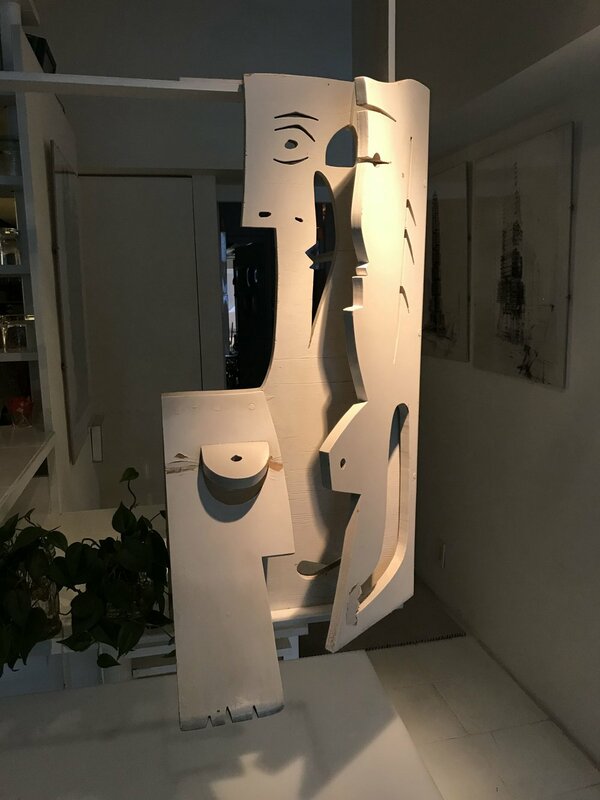 Although the project didn’t proceed, Paul Rudolph liked the sculpture so much that he requested (and received) official permission from Picasso to make copies of the maquette. Several faithful copies were made: the ones that are on view in the Modulightor Building. But this might not be quite the end for that Picasso sculpture, nor for Rudolph’s building design for that campus: they now have an existence - at least in the virtual world. Kamila Oles (an art historian) & Lukasz Banaszek (a landscape archaeologist), working with the USF’s Center for Virtualization and Applied Spatial Technologies (CVAST) have created virtual models of what the building and sculpture would have looked like. You can also see a video of their process here. Exciting visions - but ones that dramatically show an architectural & artistic lost opportunity. NOTE: Several authorized copies were made - one of which will always be on permanent display in the Rudolph-designed residential duplex within his Modulightor Building. But the other authorized copies are available for sale to benefit the Paul Rudolph Heritage Foundation. Please contact the Paul Rudolph Heritage Foundation for further information.